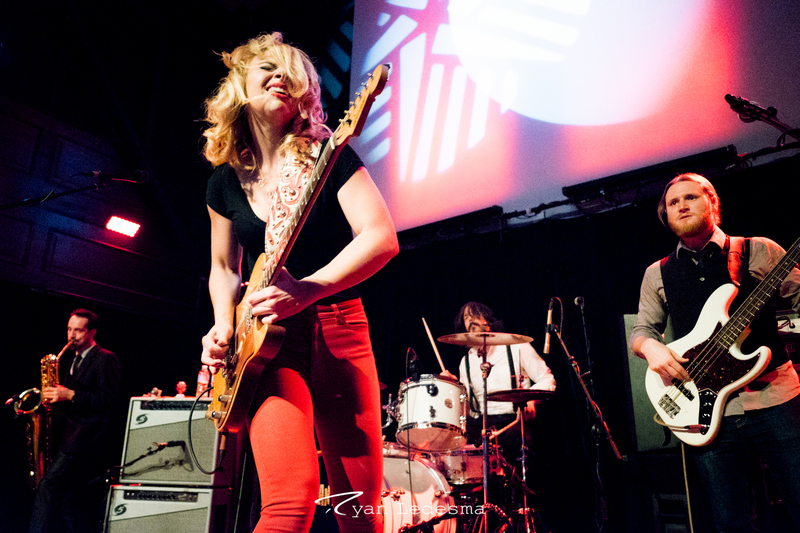 Blues powerhouse, and Kansas City native, Samantha Fish made a stop by The Old Rock House Wednesday night as part of her “Chills & Fever Tour” to play a raw set of blues and rock for an enthusiastic crowd. Competing with the St. Louis Blues Playoff game, and the gloomy weather outside, Fish drew a different crowd of blues fans, and she didn’t leave them disappointed. 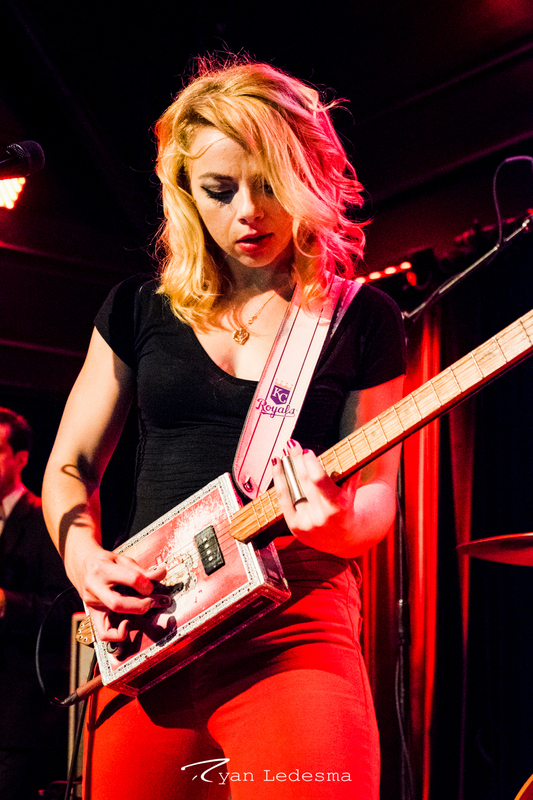 For those unfamiliar with Samantha Fish, she doesn’t look like your typical blues guitarist (she was wearing tight red pants and high heels), and that’s because she isn’t your typical blues guitarist. 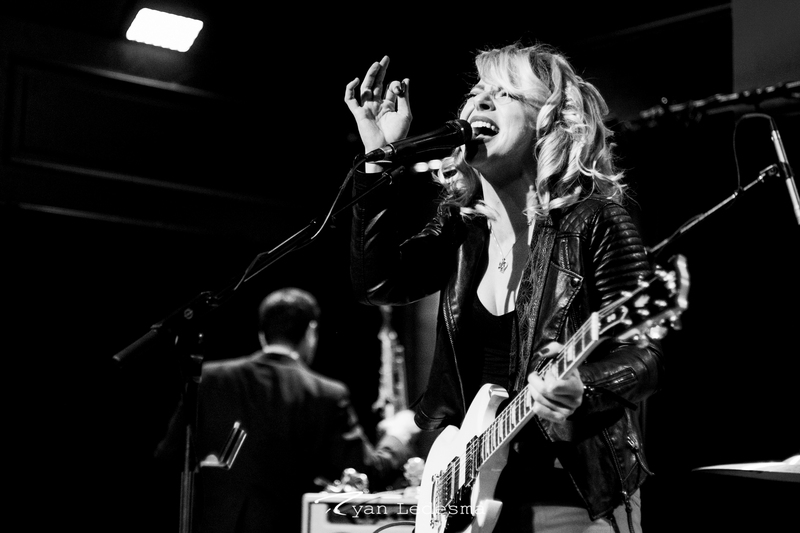 Most bands need two or three guitarists and a lead singer to match what she belts out on her own. Her powerful vocals rival the best across multiple genres, and that is on top of her incredible guitar work. She doesn’t stop for a minute either, barely giving enough time between songs for her bandmates to down a gulp of water. Just as I am sure most of her fans were, I was introduced to Fish by her powerful and raw live performances. Even though all I had seen were some videos online of her at a few festivals, I had high expectations. After listening to her latest album, which is more refined and doesn’t feature as much of that raw energy, I was worried I might have missed out seeing the rawness of her past shows. I’m glad to say I was wrong. Despite the more polished sound of her studio recordings, she brings all that raw energy and doesn’t hold back during her live shows. During the solo for “Somebody’s Always Trying” she got down on her knees to manually adjust her effects pedals between riffs, seemingly losing herself in the music, as the horn section nodded along approvingly. She slipped off her heels and jammed the rest of the night barefoot. Wednesday was truly an awesome night of blues, opening act The Green McDonough Band, a St. Louis local group, put on a very impressive show. Made up of Laura Green (vocals) and Rich Mcdonough (guitar), they are a mix of dynamic vocals and truly excellent classic blues style guitar work. I will definitely be looking out for this group and trying to make it to some more of their shows, and if you love blues, you should too. Stick around for the photo gallery of the show after the set list.